We all know that you can take a horse to water but you can't make it drink. But can you take a horse to a Grand National fence and make it jump? The fences on the National course are visually and physically very different from those found on park courses – they have a plastic core and are dressed with green spruce branches, whereas those at Sandown or Market Rasen are composed of dark brown birch. 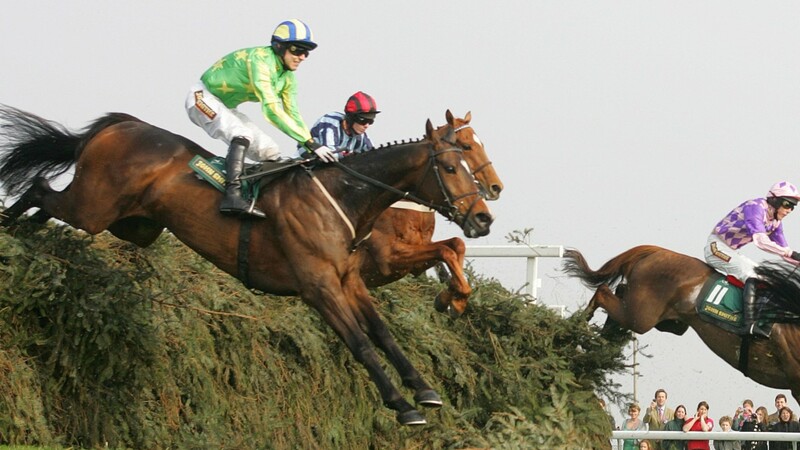 Without being privy to a horse's inner thoughts, we can only presume that to a horse who has never run at Aintree before the sight of the unusual obstacles might be a shock – although not as much of a shock as it would have been pre-1961, when the fearsome fences were first modified. How do trainers and jockeys educate their horses about the new test awaiting them? Received wisdom suggests that – despite it being the best way to get to Carnegie Hall – practice doesn't necessarily make perfect, nor is practice wholly necessary. "If a horse knows how to jump, which it should do by the time it runs over the big fences, I'm not sure that practising over an Aintree fence matters," says Richard Newland, trainer of 2014 National winner Pineau De Re. "It's not about improving their technique at that stage. As long as the horse is a consistent jumper, isn't generally too flamboyant, which might have been a problem with the drops at Aintree in the old days, then they probably don't need to see an Aintree fence beforehand. "I gave Pineau De Re a sighter over the fences they built in Lambourn because he'd fallen on his previous run at Aintree and he wasn't the best of jumpers anyway, but [2010 Fox Hunters' winner] Silver Adonis went straight there without schooling and jumped brilliantly." Sometimes schooling can be a retrograde step, as Lucinda Russell discovered with last year's Aintree hero One For Arthur. She warns against trying to be too clever, against a background of muffled laughter from her partner Peter Scudamore. "Peter decided he was going to build an Aintree-style fence out of tyres and the sort of synthetic 'grass' you see in greengrocers' shops," she says. "He bought a couple of rolls of it, went out with his tools, built some fences. He was very proud of them. "We lined up three horses and the first two had no problems at all. Then 'Arthur' had his turn and he was absolutely terrible, jumped slow, jumped big, stopped at the third fence. He didn't look like a potential National horse then, but on the big day he was great." Scudamore stops laughing and breaks in. "My father Michael always told me to school horses over fences that were smaller than the ones they would face at a racecourse. You don't want to frighten them at home, and the adrenaline rush of being in a race gives them an extra lift." You can't make a horse drink; you can't make him do anything he doesn't really want to do. 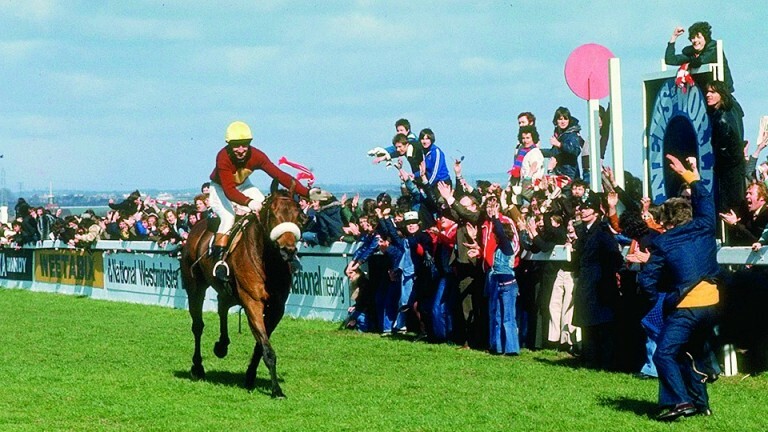 Half a ton of horse, if they have made up their mind, is an immovable object – older readers may remember Boom Docker in the 1977 National, who jumped like the proverbial stag for a circuit but, despite being a long way clear, decided that a second circuit was simply not going to happen and dug in his heels at the 17th. "Some don't take to it," adds Newland. "Mart Lane was only small and he frightened himself in the Topham one year. If a horse isn't the biggest, he has to have the right attitude. "He has to want to take the fences on, has to be forward-going, has to take his jockey along." The jockey, after all, is the one at the sharp end, the one to experience the fallout of the decision to school or not to school. Paddy Brennan was runner-up on Saint Are in the 2015 National and won the 2009 Topham on Irish Raptor, and he sides with Newland's perspective. 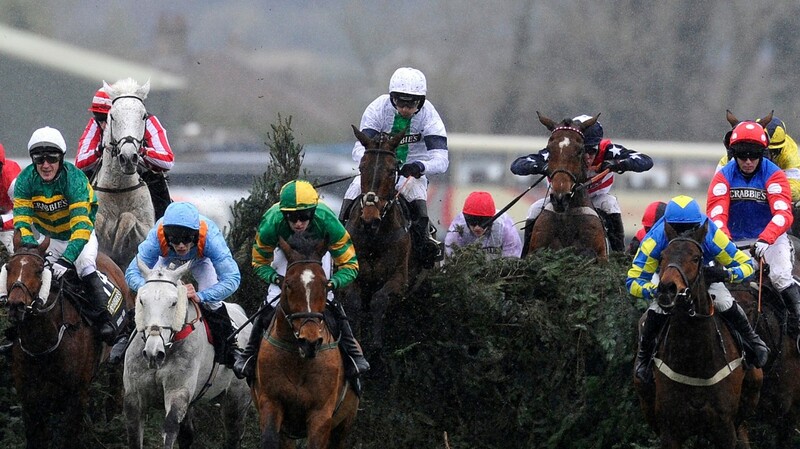 "It wouldn't be a problem for me if my horse hadn't schooled over an Aintree fence," he says. "I've never actually schooled a horse over an Aintree-style obstacle. When I was with Nigel Twiston-Davies he might have put a bit of spruce in the last open ditch, but nothing more than that. "If a horse can jump, it can jump any fence. You'd ride some horses over these [Fontwell] fences and if they went to Aintree you'd know they'd be awesome. "Horses can surprise you on the big day, they can really take to it. Previous experience isn't vital, it certainly wouldn't be a big thing as far as I was concerned." It is necessarily a personal choice, but nothing suggests that adherence to the famous 'Six Ps' enhances a horse's National chances. "We start ours early over small fences, and they do plenty at home," says Russell. "By the time they get to Aintree they'll have jumped lots and lots of fences at home and on the racecourse, jumping when they're fresh, when they're tired. That's all the practice they need."